How you can become better at solving real-world problems by learning creative puzzle-solving skills We solve countless problems--big and small--every day. With so much practice, why do we often have trouble making simple decisions--much less arriving at optimal solutions to important questions? Are we doomed to this muddle--or is there a practical way to learn to think more effectively and creatively? In this enlightening, entertaining, and inspiring book, Edward Burger shows how we can become far better at solving real-world problems by learning creative puzzle-solving skills using simple, effective thinking techniques. Making Up Your Own Mind teaches these techniques--including how to ask good questions, fail and try again, and change your mind--and then helps you practice them with fun verbal and visual puzzles. The goal is not to quickly solve each challenge but to come up with as many different ways of thinking about it as possible. 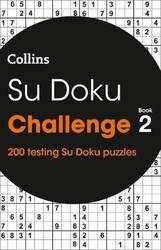 As you see the puzzles in ever-greater depth, your mind will change, helping you become a more imaginative and creative thinker in daily life. And learning how to be a better thinker pays off in incalculable ways for anyone--including students, businesspeople, professionals, athletes, artists, leaders, and lifelong learners. A book about changing your mind and creating an even better version of yourself through mental play, Making Up Your Own Mind will delight and reward anyone who wants to learn how to find better solutions to life's innumerable puzzles. And the puzzles extend to the thought-provoking format of the book itself because one of the later short chapters is printed upside down while another is printed in mirror image, further challenging the reader to see the world through different perspectives and make new meaning. 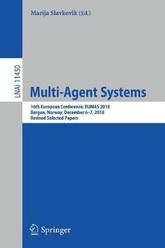 This book constitutes the revised post-conference proceedings of the 16th European Conference on Multi-Agent Systems, EUMAS 2018, held at Bergen, Norway, in December 2018. The 18 full papers presented in this volume were carefully reviewed and selected from a total of 34 submissions. The papers report on both early and mature research and cover a wide range of topics in the field of multi-agent systems. Charles Lutwidge Dodgson is best known for his 'Alice' books, Alice's Adventures in Wonderland and Through the Looking-Glass, written under his pen name of Lewis Carroll. Yet, whilst lauded for his work in children's fiction and his pioneering work in the world of Victorian photography, his everyday job was a lecturer in Mathematics at Christ Church, Oxford University. 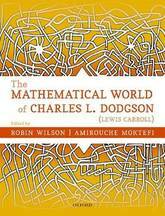 The Mathematical World of Charles L. Dodgson (Lewis Carroll) explores the academic background behind this complex individual, outlining his mathematical life, describing his writings in geometry, algebra, logic, the theory of voting, and recreational mathematics, before going on to discuss his mathematical legacy. This is the first academic work that collects the research on Dodgson's wide-ranging mathematical achievements into a single practical volume. Much material appears here for the first time, such as Dodgson's personal letters and drawings, as well as the results of recent investigations into the life and work of Dodgson. Complementing this are many illustrations, both historical and explanatory, as well as a full mathematical bibliography of Dodgson's mathematical publications. This innovative monograph explores a new mathematical formalism in higher-order temporal logic for proving properties about the behavior of systems. Developed by the authors, the goal of this novel approach is to explain what occurs when multiple, distinct system components interact by using a category-theoretic description of behavior types based on sheaves. The authors demonstrate how to analyze the behaviors of elements in continuous and discrete dynamical systems so that each can be translated and compared to one another. Their temporal logic is also flexible enough that it can serve as a framework for other logics that work with similar models. 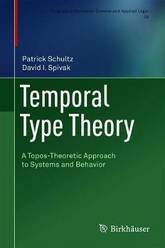 The book begins with a discussion of behavior types, interval domains, and translation invariance, which serves as the groundwork for temporal type theory. From there, the authors lay out the logical preliminaries they need for their temporal modalities and explain the soundness of those logical semantics. These results are then applied to hybrid dynamical systems, differential equations, and labeled transition systems. A case study involving aircraft separation within the National Airspace System is provided to illustrate temporal type theory in action. Researchers in computer science, logic, and mathematics interested in topos-theoretic and category-theory-friendly approaches to system behavior will find this monograph to be an important resource. It can also serve as a supplemental text for a specialized graduate topics course. This book constitutes the thoroughly refereed post-conference proceedings of the 14th International Meeting on Computational. 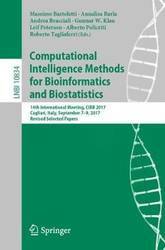 Intelligence Methods for Bioinformatics and Biostatistics, CIBB 2017, held in Cagliari, Italy, in September 2017. 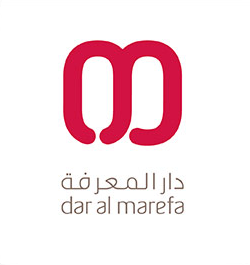 The 19 revised full papers presented were carefully reviewed and selected from 44 submissions. The papers deal with the application of computational intelligence to open problems in bioinformatics, biostatistics, systems and synthetic biology, medical informatics, computational approaches to life sciences in general. 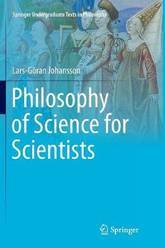 This textbook offers an introduction to the philosophy of science. It helps undergraduate students from the natural, the human and social sciences to gain an understanding of what science is, how it has developed, what its core traits are, how to distinguish between science and pseudo-science and to discover what a scientific attitude is. It argues against the common assumption that there is fundamental difference between natural and human science, with natural science being concerned with testing hypotheses and discovering natural laws, and the aim of human and some social sciences being to understand the meanings of individual and social group actions. Instead examines the similarities between the sciences and shows how the testing of hypotheses and doing interpretation/hermeneutics are similar activities. The book makes clear that lessons from natural scientists are relevant to students and scholars within the social and human sciences, and vice versa. It teaches its readers how to effectively demarcate between science and pseudo-science and sets criteria for true scientific thinking. Divided into three parts, the book first examines the question What is Science? It describes the evolution of science, defines knowledge, and explains the use of and need for hypotheses and hypothesis testing. The second half of part I deals with scientific data and observation, qualitative data and methods, and ends with a discussion of theories on the development of science. Part II offers philosophical reflections on four of the most important con cepts in science: causes, explanations, laws and models. Part III presents discussions on philosophy of mind, the relation between mind and body, value-free and value-related science, and reflections on actual trends in science. This book constitutes the refereed proceedings of the 13th International Conference on Language and Automata Theory and Applications, LATA 2019, held in St. Petersburg, Russia, in March 2019. The 31 revised full papers presented together with 5 invited talks were carefully reviewed and selected from 98 submissions. 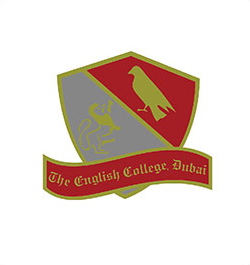 The papers cover the following topics: Automata; Complexity; Grammars; Languages; Graphs, trees and rewriting; and Words and codes. 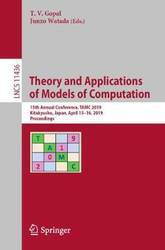 This book constitutes the refereed proceedings of the 15th Annual Conference on Theory and Applications of Models of Computation, TAMC 2019, held in Kitakyushu, Japan, in April 2019. The 43 revised full papers were carefully reviewed and selected from 60 submissions. The main themes of the selected papers are computability, computer science logic, complexity, algorithms, models of computation, and systems theory. 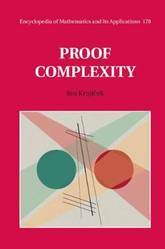 Proof complexity is a rich subject drawing on methods from logic, combinatorics, algebra and computer science. This self-contained book presents the basic concepts, classical results, current state of the art and possible future directions in the field. It stresses a view of proof complexity as a whole entity rather than a collection of various topics held together loosely by a few notions, and it favors more generalizable statements. Lower bounds for lengths of proofs, often regarded as the key issue in proof complexity, are of course covered in detail. However, upper bounds are not neglected: this book also explores the relations between bounded arithmetic theories and proof systems and how they can be used to prove upper bounds on lengths of proofs and simulations among proof systems. 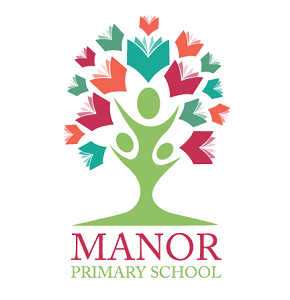 It goes on to discuss topics that transcend specific proof systems, allowing for deeper understanding of the fundamental problems of the subject. 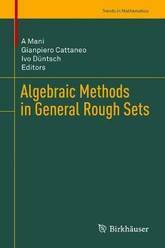 This unique collection of research papers offers a comprehensive and up-to-date guide to algebraic approaches to rough sets and reasoning with vagueness. It bridges important gaps, outlines intriguing future research directions, and connects algebraic approaches to rough sets with those for other forms of approximate reasoning. In addition, the book reworks algebraic approaches to axiomatic granularity. Given its scope, the book offers a valuable resource for researchers and teachers in the areas of rough sets and algebras of rough sets, algebraic logic, non classical logic, fuzzy sets, possibility theory, formal concept analysis, computational learning theory, category theory, and other formal approaches to vagueness and approximate reasoning. Consultants in AI and allied fields will also find the book to be of great practical value. 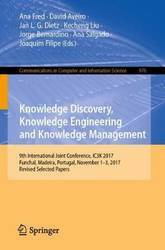 This book constitutes the thoroughly refereed proceedings of the 8th International Joint Conference on Knowledge Discovery, Knowledge Engineering and Knowledge Management, IC3K 2017, held in Funchal, Madeira, Portugal, in November 2017.The 19 full papers presented were carefully reviewed and selected from 157 submissions. 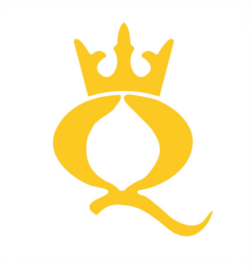 The papers are organized in topical sections on knowledge discovery and information retrieval; knowledge engineering and ontology development; and knowledge management and information sharing. 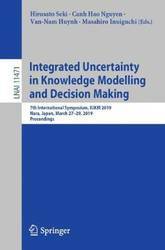 This book constitutes the refereed proceedings of the 7th International Symposium on Integrated Uncertainty in Knowledge Modelling and Decision Making, IUKM 2019, held in Nara, Japan, in March 2019. The 37 revised full papers presented were carefully reviewed and selected from 93 submissions. The papers deal with all aspects of uncertainty modelling and management and are organized in topical sections on uncertainty management and decision support; econometrics; machine learning; machine learning applications; and statistical methods. 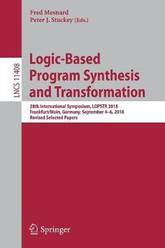 This book constitutes the thoroughly refereed post-conference proceedings of the 28th International Symposium on Logic-Based Program Synthesis and Transformation, LOPSTR 2018, held in Frankfurt/Main, Germany, in September 2018.The 11 revised full papers were carefully reviewed and selected from 29 submissions. In addition to the 11 papers, this volume includes 3 abstracts of invited talks and 2 abstracts of invited tutorials. 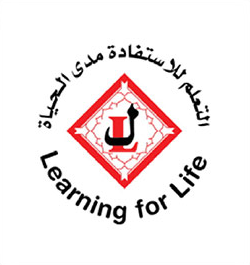 The papers are grouped into the following topics: analysis of term rewriting; logic-based distributed/concurrent programming; analysis of logic programming; and program analysis. 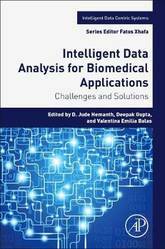 Intelligent Data Analysis for Biomedical Applications: Challenges and Solutions presents specialized statistical, pattern recognition, machine learning, data abstraction and visualization tools for the analysis of data and discovery of mechanisms that create data. 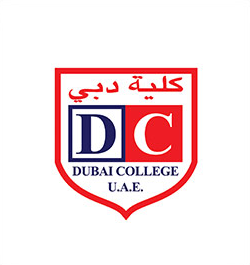 It provides computational methods and tools for intelligent data analysis, with an emphasis on problem-solving relating to automated data collection, such as computer-based patient records, data warehousing tools, intelligent alarming, effective and efficient monitoring, and more. This book provides useful references for educational institutions, industry professionals, researchers, scientists, engineers and practitioners interested in intelligent data analysis, knowledge discovery, and decision support in databases. 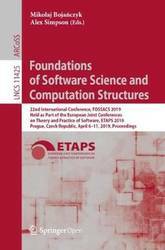 This open access book constitutes the proceedings of the 22nd International Conference on Foundations of Software Science and Computational Structures, FOSSACS 2019, which took place in Prague, Czech Republic, in April 2019, held as part of the European Joint Conference on Theory and Practice of Software, ETAPS 2019.The 29 papers presented in this volume were carefully reviewed and selected from 85 submissions. They deal with foundational research with a clear significance for software science. This book analyses an inconsistency within epistemic contextualism known as the factivity problem. It also provides key insights into epistemic contextualism, an important innovation in contemporary epistemology, enabling readers to gain a better understanding of the various solutions to the factivity problem. As the authors demonstrate, each explanation is based on a different interpretation of the problem. Divided into seven chapters, the book offers comprehensive coverage of this topic, which will be of major interest to philosophers engaged in epistemology and the philosophy of language. After an introductory chapter, Chapter 2 presents the most common understanding of epistemic contextualism and its semantic basis. It also clarifies the epistemological implications of the theory's semantic assumptions. This chapter also explains the main argument of the factivity problem. The next four chapters discuss the respective solutions proposed by Wolfgang Freitag, Alexander Dinges, Anthony Brueckner and Christopher Buford, Michael Ashfield, Martin Montminy and Wes Skolits, and Peter Baumann. 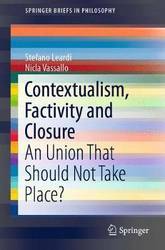 Stefano Leardi and Nicla Vassallo highlight the similarities and commonalities, identifying three main approaches to the factivity problem. Chapter 7 provides a brief overview of the solutions proposed to solve the factivity problem and presents an outline of the conclusions reached in the book. Model theory begins with an audacious idea: to consider statements about mathematical structures as mathematical objects of study in their own right. While inherently important as a tool of mathematical logic, it also enjoys connections to and applications in diverse branches of mathematics, including algebra, number theory and analysis. Despite this, traditional introductions to model theory assume a graduate-level background of the reader. 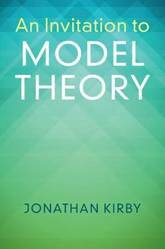 In this innovative textbook, Jonathan Kirby brings model theory to an undergraduate audience. The highlights of basic model theory are illustrated through examples from specific structures familiar from undergraduate mathematics, paying particular attention to definable sets throughout. With numerous exercises of varying difficulty, this is an accessible introduction to model theory and its place in mathematics. 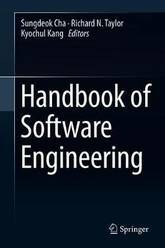 This handbook provides a unique and in-depth survey of the current state-of-the-art in software engineering, covering its major topics, the conceptual genealogy of each subfield, and discussing future research directions. Subjects include foundational areas of software engineering (e.g. software processes, requirements engineering, software architecture, software testing, formal methods, software maintenance) as well as emerging areas (e.g., self-adaptive systems, software engineering in the cloud, coordination technology). Each chapter includes an introduction to central concepts and principles, a guided tour of seminal papers and key contributions, and promising future research directions. The authors of the individual chapters are all acknowledged experts in their field and include many who have pioneered the techniques and technologies discussed. Readers will find an authoritative and concise review of each subject, and will also learn how software engineering technologies have evolved and are likely to develop in the years to come. This book will be especially useful for researchers who are new to software engineering, and for practitioners seeking to enhance their skills and knowledge. This book is Open Access under a CC BY licence. This book, LNCS 11429, is part III of the proceedings of the 25th International Conference on Tools and Algorithms for the Construction and Analysis of Systems, TACAS 2019, which took place in Prague, Czech Republic, in April 2019, held as part of the European Joint Conferences on Theory and Practice of Software, ETAPS 2019. It's a special volume on the occasion of the 25 year anniversary of TACAS. This book constitutes the refereed proceedings of the 6th International Workshop on Formal Techniques for Safety-Critical Systems, FTSCS 2018, held in Gold Coast, Australia in November 2018. The 10 revised full papers presented together with an abstract of an invited talk were carefully reviewed and selected from 22 submissions. 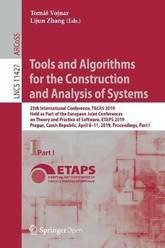 The papers are organized in topical sections on analysis and verification of Safety-Critical Systems; analysis of timed systems; semantics and analysis methods, and model transformation. This book constitutes the thoroughly refereed proceedings of the 12th International Conference on Metadata and Semantic Research, MTSR 2018, held in Limassol, Cyprus, on October 23-26, 2018. The 19 full and 16 short papers presented were carefully reviewed and selected from 77 submissions. The papers are organized in topical sections on metadata, linked data, semantics, ontologies and SKOS; digital libraries, information retrieval, big, linked, social and open data; cultural collections and applications; Knowledge IT Artifacts (KITA) in professional communities and aggregations; Digital Humanities and Digital Curation (DHC); European and national projects; agriculture, food and environment; open repositories, research information systems and data infrastructures. This book constitutes the post-conference proceedings of the 12th International Workshop on Fuzzy Logic and Applications, WILF 2018, held in Genoa, Italy, in September 2018. The 17 revised full papers and 9 short papers were carefully reviewed and selected from 26 submissions. 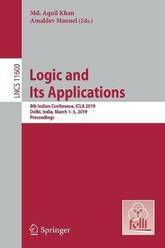 The papers are organized in topical sections on fuzzy logic theory, recent applications of fuzzy logic, and fuzzy decision making. Also included are papers from the round table Zadeh and the future of logic and a tutorial. 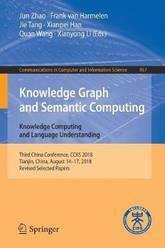 This book constitutes the refereed proceedings of the Third China Conference on Knowledge Graph and Semantic Computing, CCKS 2018, held in Tianjin, China, in August 2018. The 27 revised full papers and 2 revised short papers presented were carefully reviewed and selected from 101 submissions. The papers cover wide research fields including the knowledge graph, information extraction, knowledge representation and reasoning, linked data. Operads are algebraic devices offering a formalization of the concept of operations with several inputs and one output. Such operations can be naturally composed to form more complex ones. Coming historically from algebraic topology, operads intervene now as important objects in computer science and in combinatorics. A lot of operads involving combinatorial objects highlight some of their properties and allow to discover new ones. 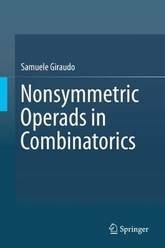 This book portrays the main elements of this theory under a combinatorial point of view and exposes the links it maintains with computer science and combinatorics. Examples of operads appearing in combinatorics are studied. The modern treatment of operads consisting in considering the space of formal power series associated with an operad is developed. Enrichments of nonsymmetric operads as colored, cyclic, and symmetric operads are reviewed. 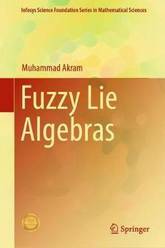 This book explores certain structures of fuzzy Lie algebras, fuzzy Lie superalgebras and fuzzy n-Lie algebras. In addition, it applies various concepts to Lie algebras and Lie superalgebras, including type-1 fuzzy sets, interval-valued fuzzy sets, intuitionistic fuzzy sets, interval-valued intuitionistic fuzzy sets, vague sets and bipolar fuzzy sets. 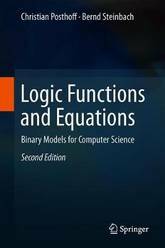 The book offers a valuable resource for students and researchers in mathematics, especially those interested in fuzzy Lie algebraic structures, as well as for other scientists. Divided into 10 chapters, the book begins with a concise review of fuzzy set theory, Lie algebras and Lie superalgebras. In turn, Chap. 2 discusses several properties of concepts like interval-valued fuzzy Lie ideals, characterizations of Noetherian Lie algebras, quotient Lie algebras via interval-valued fuzzy Lie ideals, and interval-valued fuzzy Lie superalgebras. Chaps. 3 and 4 focus on various concepts of fuzzy Lie algebras, while Chap. 5 presents the concept of fuzzy Lie ideals of a Lie algebra over a fuzzy field. Chapter 6 is devoted to the properties of bipolar fuzzy Lie ideals, bipolar fuzzy Lie subsuperalgebras, bipolar fuzzy bracket product, solvable bipolar fuzzy Lie ideals and nilpotent bipolar fuzzy Lie ideals. Chap. 7 deals with the properties of m-polar fuzzy Lie subalgebras and m-polar fuzzy Lie ideals, while Chap. 8 addresses concepts like soft intersection Lie algebras and fuzzy soft Lie algebras. Chap. 9 deals with rough fuzzy Lie subalgebras and rough fuzzy Lie ideals, and lastly, Chap. 10 investigates certain properties of fuzzy subalgebras and ideals of n-ary Lie algebras.